All Oil Changes are NOT the Same ! We all know that an oil change is part of regular maintenance on any vehicle…whether it is a Volkswagen, Audi or any other make/model, having your oil changed regularly is an extremely important and necessary function of owning a vehicle. Yes, part of our standard oil service includes changing the oil and oil filter. We also keep a very keen eye on known wear items for your specific vehicle. While the oil is draining, a careful inspection of your vehicle is taking place. This is when tire wear patterns are noticed, suspension and other components are inspected and your vehicle is reviewed to address any safety items or make you aware of upcoming maintenance. Control Arm Bushings Separated. 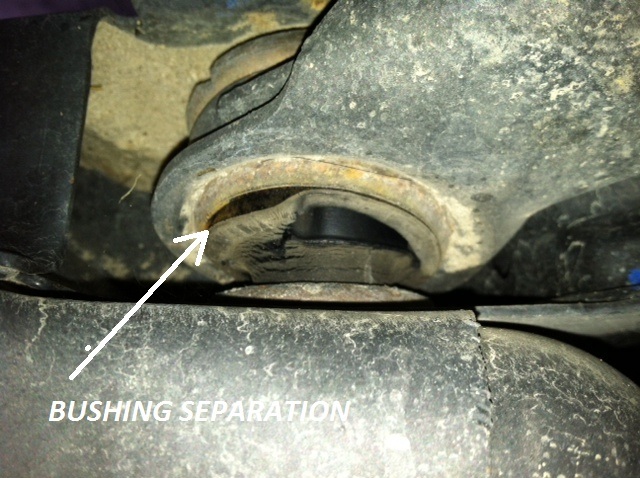 These bushings are very important to your vehicle’s suspension system. They “cushion” the ride and make it more quiet. 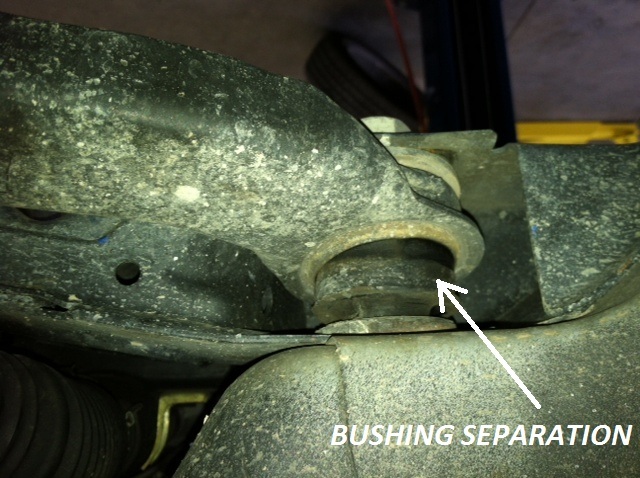 Control Arm Bushings also affect the alignment and handling of a vehicle, including tires. Drain Pan Stripped. 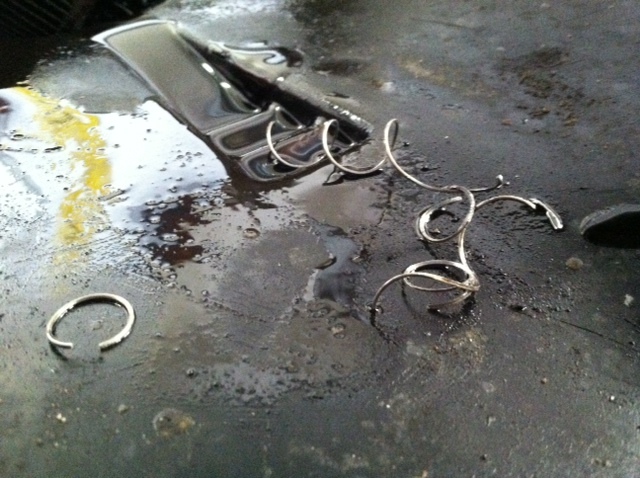 This is unfortunately a very common thing that we notice after someone’s car has been elsewhere for an oil change. Over-tightening of the drain plug, just a couple of “extra turns”, can cause quite a bit of damage. One picture shows the aluminum fragments that we removed as the result of someone over-tightening. Can you imagine the fragments that were INSIDE the oil pan? Sometimes the drain pan can be repaired; often times it cannot and that leads to a very expensive purchase for a customer, ranging anywhere from $200-400 for just the oil pan. Another picture shows a drain pan that we recently replaced in a VW Beetle due to the drain plug that could not be repaired. Regarding the oil that you put into your vehicle…KNOW your vehicle and what it takes per manufacturer’s recommendation. 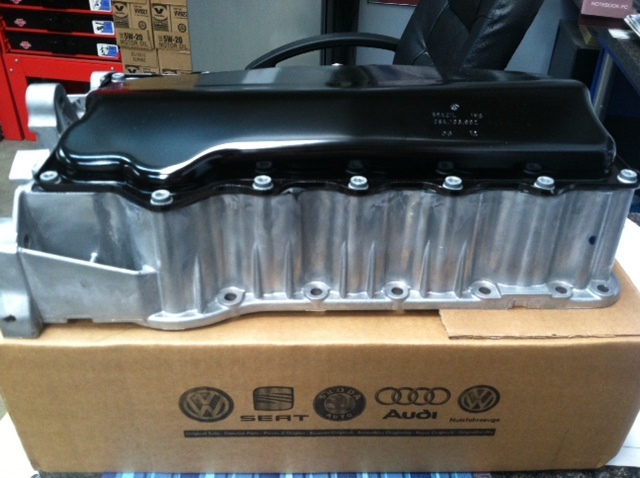 Just because oil is synthetic does not mean that it belongs in your VW, Audi or other import. Ex: Volkswagen specs are 502, 505 01, 504 and 507. What is the likelihood that a national retailer who changes oil has YOUR particular VW oil on the shelf, much less the oil of hundreds of other vehicles that frequent their shop? Das Autohaus knows oil and constantly researches manufacturer updates to ensure that the proper oil is going back into your German vehicle. Remember that you get what you pay for …..and a cheap oil change is just that !